Yes, it’s true. I can laugh now but it was no joking matter back then when I hurled my golf club farther than I had just hit that last shot. I also laugh at myself when I think of the time when I was intimidated by an employee and changed my operational plan because I was “afraid” that he would lead a mutiny in my group . I spent 23 years in the express transportation industry coaching, training and managing personnel and operations. I played the amazing game of golf for a decade longer. 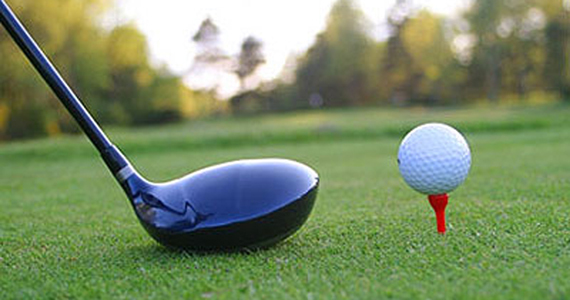 Peak performance in golf and business has many parallels. If you think of yourself on the course and at the office as the same person, you will find powerful inner resources that will help you achieve your goals faster! How many times have you been able to put every non-essential priority aside and finish that project under a tight deadline? Now, I know you’ve stood up there on the tee box staring at a very narrow fairway and proceeded to zero in to a patch of grass and then watched the ball cuddle right up to it from your driver. The secret to improving focus and blocking out distraction is to remind yourself of the times when you’ve been very successful at it and know that you have it within you any time you want. Even my clients who have been diagnosed with ADD have many successes in focusing and I just remind them of that. If you were a top pro golfer today, you would be spending hours in the gym, paying attention to your nutrition, and drinking lots of water throughout the day. Unfortunately, coffee and donuts seems to be the norm at work. How will you project a passion for your idea to your client if you look tired and haggard? How will you have the stamina at the 18th hole to swing the club the same as the 1st in order to close out your round? The brain needs high quality food and lots of water if you want it to think right at those crucial pressure moments. Your project team is stumped by a particular problem that is draining company resources. Your boss challenges you with coming up with an “out of the box” solution and she needs it yesterday. Put it to your subconscious mind. Did you know that Thomas Edison would take a short nap to come up with a new idea for inventing the light bulb? Take a few moments of silence here and there, breathe deep, and let go of all competing thoughts and see what comes up. Golfers get to do this as part of their pre-shot routine. I find it very strange that brilliant managers and CEOs exhibit this, yet fall apart on the course when there’s a couple bucks riding on the next putt. Take a moment and recall a time when you were unfazed at work when problems stared you in the face. * What was the thought process that you ran through at those most trying times? * What is the mechanism that allowed you to bypass the flight or fight stress response? Write a short sentence about that mechanism on a 3×5 card and begin to implant it in your thought centers. Bring that 3×5 card with you to the course, or anywhere it might come in handy. Once you’ve identified your key to mental toughness, then confidence has a great chance to grow in that fertile soil. It comes from a belief in yourself. When I was a new manager and attended my first meeting with the boss, my jaw dropped when I heard what he expected me to accomplish by the end of that first week. I had yet to take any training on the new job and my partner manager was more interested in making his escape from the company than helping me out. At the time, I was horrified with my rude welcome into big business and hated him for it for a long time. Today, guess where my confidence comes from. And guess what my mantra is? I owe that boss a lot…and my golf game went into scoring in the 70s.